Leggings are easily one of the biggest wardrobe staples of the moment. They’ve gotten so popular, in fact, that H&M has a treggings section that carries hybrid legging-trousers that are—get this—office-approved. And with everyone from celebs to models consistently embracing the athleisure pants, it’s safe to say the trendy bottoms are here to stay. So when it comes to a solid pair of cropped leggings that can go from the gym to lounge mode for lazy Sundays, which brand makes the best ones? SheKnows recently raved about a pair that is a favorite among Nordstrom shoppers, with over 100 five-star reviews. The Zella "Live In" Crop style goes for just under $50, which is reasonable considering how satisfied customers are when they shop for the brand’s different styles. The best-selling pants are made with a moisture-wicking knit fabric that gives the comfort we come to expect from leggings and makes them wearable for a gym session. Read more about why the folks at SheFinds approve of these leggings, and keep scrolling to shop the favored style below. 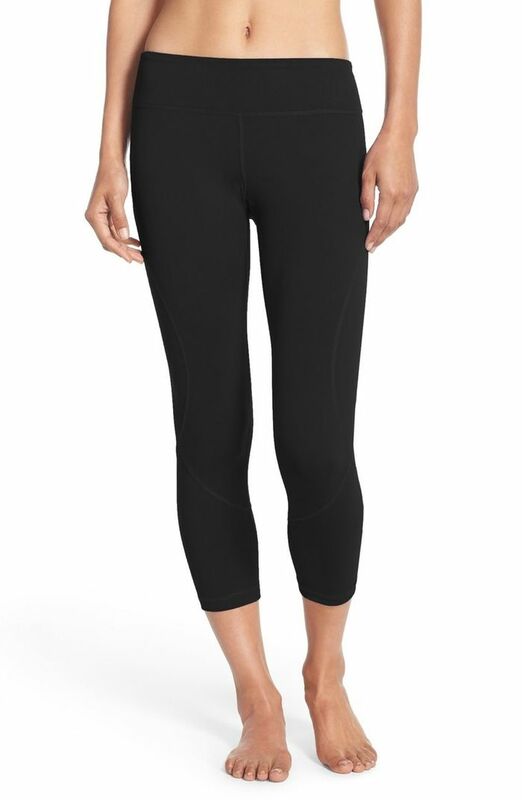 What brand makes your favorite cropped leggings? Tell us in the comments!